This section of the website contains logical puzzles. Think a little, apply some logic, you should be able to solve the puzzle. 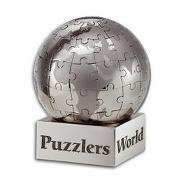 First try to solve the puzzle on your own, then look for solution. Each problem is a challenge in itself, so give them your best try. A woman goes to the counter and puts a book before the man there. The man says that the price is 13. The lady pays the money and goes away without taking the book. The man saw it and did not call the lady. Why? Lets see if you can solve it, what will be the value of last equation? Lonnie is taking the train to the Library. He tells Rosti the hour of his train’s departure and he tells Ann at which minute it leaves. He also tells them both that the train leaves between 0600 and 1000. When is Lonnie’s train and how do you know? What is maximum questions you need to ask each to determine who is ABCD? A very intelligent and kind Traveller was trapped by a King, King wants to check his intelligence and kindness at the same time. So he sets up a scenario where he asks traveller to play the “Sword Killing” game. In this game ’N’ number of people have to stand in a circle in an order 1 to ’N’ and someone of them has a Sword, so when the game starts the person with the sword kills the left adjacent person and passes the sword to the next person, next person do the same again and this keeps on going until only one person survives at the end. For example: – At starting, Person at 18th position have the sword, and the game starts, then the 18th position person kills 19th position person and passes sword to 20th position person, 20th person kills 21st person and passes sword to 22nd person and so on till only one person survives. The twist King makes is that, he make the traveller stand at 489th position in the circle, and asks traveller to choose any number of people he wants to make stand in the circle, where traveller’s position will be fixed (489th) and also gave him option for starting this game from any position (Sword Initially with this position) . The basic rules for the game still remains same. ==>> SP (Starting Position): – Position of person the game starts from. e.g. if SP=103 >> At starting Person at 103th position have the sword, and the game starts in a way that he kills 104 and passes it to 105 and so on till only one survives, which in this case should be 489th position person. ==>> N :- Total no. of people standing in the circle at the starting. N includes traveller as well. For e.g. if N=500, it includes person standing at 489(or the traveller himself). ==>> Traveller is very Kind and wants to kill least no. of people as possible. Although he is kind but he prioritises his life over others. i.e. he wants to save himself, but by killing minimum no. of people. So you need to determine what would be value of N and SP, if Traveller wants to prove his kindness and intelligence. Four wise men are wearing Black and White hats so that each of them can only see the others’ hats. They are told that at least one of their hats is white and at least one is black. Asked, in turn, if they can tell the color of their own hat? The first wise man says no, then the second wise man says no, but then the third wise man could give the right answer. Clock + Banana + Banana*Shapes = ? Can you solve these equations? How to bring the car out? An engineer in a car manufacturing company designs a world class car. The owner is impressed with the outcome and praised him a lot. While trying to bring out the car from the manufacturing area to the office they realized that the car is few inches taller than the entrance. The engineer felt bad that he didn’t notice this one before creating the car. The owner was amazed on how to take it outside of the manufacturing area. The painter said that they can bring out the car and there will be few scratches on top of the car that he will do the tinkering later on. The engineer said that they can break the entrance and after taking the car out, they can cement it. The owner was not convinced with any ideas and felt like it is a bad sign to break or scratch. The watchman who was watching all this came to a Solution. What could be the Right Solution? You have to fill the boxes with numbers from 1-8 by following below mentioned rules. Rule 1: Predecessor and successor can’t be besides. Example if we take number 3 in any box, than neither side of 3 can have 2 or 4. Rule 2: Predecessor and successor can’t be upside or downside. Example: if we take 3 in any box, then the box above can not have 2 or 4, similarly box below can not have 2 or 4. Rule 3: Predecessor and successor can’t be diagonally either. Rule 4: c is smaller than f, else there can be 2 solutions. And now there can be only 1 solution. How many games to determine a champion?